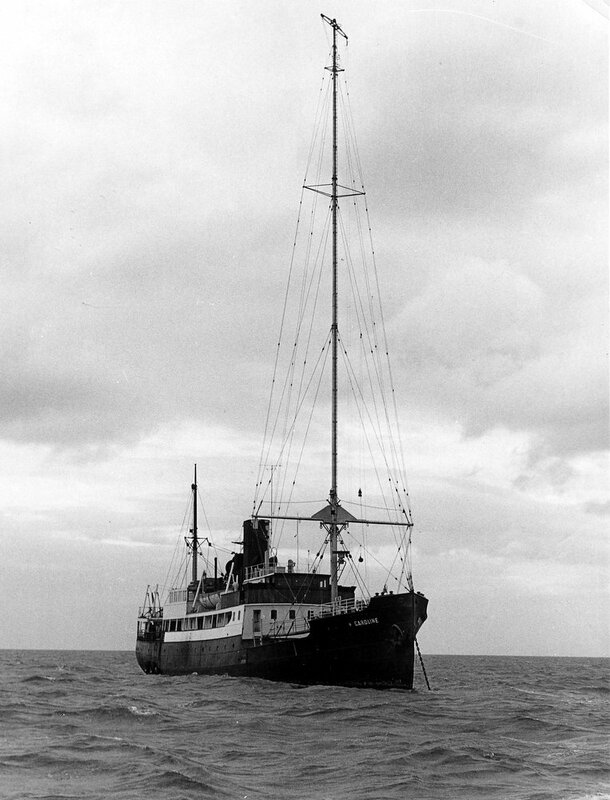 Terry has sent us this magnificent photograph of the original Radio Caroline ship, the mv Fredericia. Back to the previous page. On to the next page of Terry's photos.